The life of a piece of upholstered furniture begins with its frame: although the underlying wooden framework cannot all be seen in the finished product, the type of wood used to create it will have a bearing on the quality of the final product. Where parts of the frame, such as chair legs, may be seen outside the upholstery these are termed "show-wood". Some furniture employs softwoods, but may suffer from its difficulty in supporting the joinery that is required for the best quality furniture. The tight graining of hardwoods allows for pegs, screws and tacks to be set securely, reducing the likelihood of their becoming loose over time. Hardwoods used in upholstered furniture include oak, alder and other woods with tight graining. Hardwood laminates are often used for blocks and braces because laminates are actually stronger than solid wood in these applications. The wood for a piece of upholstered furniture must be assembled into a sturdy frame. Generally, the more rigid the frame the better, because a loose frame can crack or fail, and several craftsman processes can be used to create a good, strong frame. A variety of woods and laminates are used for joining, blocking and dowelling and sometimes several techniques are used. Joints are the places where one piece of frame wood intersects to another part of the frame at an angle. Joints must be reinforced with blocks or dowels for extra support or the frame will be susceptible to loosening over time. Blocking refers to the process of placing additional blocks of wood behind or diagonal to joints and corners for support in areas where our furniture craftsman believes there may be greater stress. Blocks provide lateral support and a larger area for screws and fasteners to set wood elements securely. This extra bracing at stress points contributes to the lasting integrity of the frame. An alternative to blocking is dowelling. Dowelling refers to the process whereby one or two dowels are drilled, hammered and glued into the wood at stress-points to provide extra strength and support to the frame. Nails, screws, fasteners and glue may also support many parts of a frame. Once the frame is constructed, a spring system is installed to support the seating area. Furniture manufacturers employ two main types of spring support systems: standard springs, zig zag Springs and eight-way hand tied springs, coil springs. When the spring system is finished with a top layer of padding, it is commonly called the "seat deck". Standard Springs provide good support at a lower price than the alternative. Most manufacturers offer either sinuous springs or drop-in-springs as their standard, depending on how they make their furniture. Both types affix to the frame to support the seat deck. Standard springs have a formal, very firm "sit" and only move in the up/down direction. In contrast, eight-way hand-tied springs can move in many more directions. Sinuous springs are heavy-gauge steel springs that have been heat formed into continuous "S" shapes. They are cut into lengths and affixed to the frame. Drop-in Springs are mass-manufactured welded units that are more cheaply manufactured and considered to be of lower quality than sinuous springs. Eight-way hand-tied springs have a wide range of movement providing a very even and individual "sit", because they move up and down and side to side. In the construction of these systems, the craftsman individually ties heavy gauge coils from front to back, side to side and diagonally (eight ways) to provide the highest level of quality, comfort and durability. This process costs more because it is time consuming and can only be done by hand. Once a piece of upholstered furniture has its frame and springs, the next components to be added are the cushions and padding. Seat cushions sit on top of the spring system and seat deck. Back pillows, if present, rest against the back and arms of the piece. Most cushions are made of a high-density foam core that is then wrapped with either soft polyester, feather and down, or a hypoallergenic down substitute. Dacron (a synthetic) adds resilience so that pillows and seats keep their shape, while the wraps form a soft envelope. Cushions and pillows are usually sewn into cotton cases to ensure smooth upholstering. Feather and down offer the maximum comfort and softness in cushions and pillows that most people desire and designers prefer. 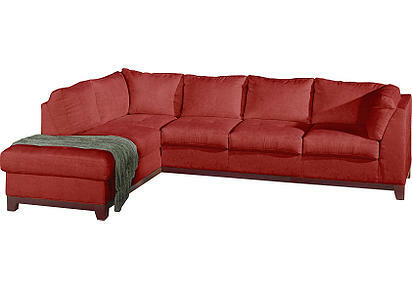 Feather and down back pillows and wrapped seat cushions can always be "fluffed-up" to maintain an attractive look. Feather and down fills and wraps require a little more maintenance than polyester and high density-foam but they have greater comfort, durability and resilience. Buckwheat hulls are also used as filling for a variety of upholstered goods, including pillows and zafu. The hulls are durable and do not conduct or reflect heat as much as synthetic fills. They are sometimes marketed as an alternative natural fill to feathers for those with allergies. Horsehair and hay have also been used in upholstery as cushioning/padding, but today they are less commonly used than foam. Textiles, a term used in the furniture industry, encompass both fabrics and leathers and the choice of textiles can account for up to 80% of furniture price. Tightly woven fabrics and blends tend to wear longer than light or loose-weave natural fibers. Leather is a durable and easy-care natural material that softens and improves with time. To create quality leather, top-grain hides are tanned, processed and dyed to give a certain color or look. Tanning refers to the process in which salts are used to cure the hide and to stabilize its shape. Dyeing refers to infusing the hide with different color dyes. Aniline dyeing is a high quality process that imparts color but does not disguise the natural character of the hide. Some leathers are further treated with a pattern, texture, or polish. Automobile upholstery A typical leather-upholstered car seat. An automotive upholsterer, also known as a trimmer, coachtrimmer, or motor trimmer, shares many of the skills required in upholstery, in addition to being able to work with carpet. The term coachtrimmer derives from the days when car bodies were produced by manufactures and delivered to coachbuilders to add a car body and interior trimmings. Trimmers would produce soft furnishings, carpets, soft tops, and roof linings often to order to customer specifications. Later, trim shops were often an in-house part of the production line as the production process was broken down into smaller parts manageable by semi-skilled labor. Many automotive trimmers now work either in automotive design or with aftermarket trim shops carrying out repairs, restorations, or conversions for customers directly. A few high-quality motor car manufacturers still employ trimmers, for example Aston Martin. The way the market is changing and manufacturers are cutting corners, it is a better idea to use a trim shop to use aftermarket materials. Adding your own touch can be a way to show originality while retaining the retail value of the vehicle. In some cases actually raising the retail value. Trim shops are now equipped with a higher quality, longer lasting, and better color fastness than many manufacturers. This is the type of upholstery work we offer to businesses. Examples would be restaurant seating consisting of booth seats, dining room chairs, bar stools, etc. Also churches, including but not limited to pews and chairs for the congregation, hospitals and clinics consisting of medical tables, chiropractic tables, dental chairs, etc. Also common to this type of upholstery would be lobby and waiting area seating. Marine Upholstery differs in that one has to consider dampness, sunlight and hard usage. A vinyl or material that is UV and cold cracking resistant is the choice. Stainless steel hardware such as staples, screws must be used for a quality job that will last. Also wood when used for a job must be of marine quality. Usually a high resiliency, high density (closed cell foam mainly used on smaller cushions to double as floatation devices) with a thin film of plastic over it is used to keep out water that might get by the seams and as well as aid in placing the vinyl back on the piece. Also a Dacron thread must be used in any sewing work. Nylon zippers are the choice as well. 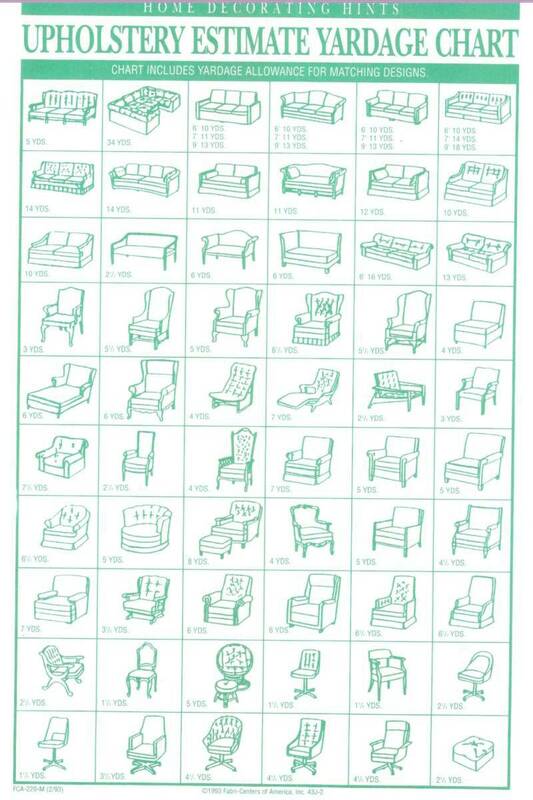 All upholstered Furniture as general rule have the same basic wood construction but vary a bit from one to the other due to style the frame consisting of the front kick plate, inside outside back frame and the main crossbar supports and the left and right side facing arms.the style is mostly generated by the shape of the arm.and pillow configuration.wood trim also changes effect. Drop in machine tied spring grids a take off of the time honored 8 way hand tie are available but not as numerous. Sleeper sofas have no spring system ,a fold out sleeper mechanism is installed in the seat box area and attached to the frame on the left and right side.You will not see many of these on show room display but most sofas come with this option. Leather sofas the support is usually constructed using elastic or rubber webbing stapled to the seat box in a crisscross pattern and weave over and under and comes in varied tensions.You can find steel spring systems,but most steel springs will be on a reclining leather units. .5 Standard Foam: This is a medium density type of foam. It is intended for temporary use such as camping, guest beds, fold out beds, upholstering, pet beds, packaging, arts & crafts, etc. Premium Foam: This foam grade is medium high density foam. If you are looking for support, comfort, and durability then this foam is for you. This kind of foam has rubber based characteristics which means it will not break down like ordinary foam. It will maintain its original shape and density for many years. This is the most popular foam for seat cushion replacements and is highly recommended. HD23: This foam has a medium to soft feel depending on the body weight of the sleeper. It offers a high degree of comfort and will retain its shape and density . This foam grade is high density soft foam. This kind of foam has rubber based characteristics which means it will not break down like ordinary foam. If you are looking for comfort and durability then this foam is for you. Luxury Foam : This foam grade is firm high density foam. If you are looking for support and durability, then this foam is for you. This kind of foam has rubber based characteristics which means it will not break down like ordinary foam. It will maintain its original shape and density for many years. This Foam grade has a firm feel offering a high degree of support while retaining its shape and density. Cleaning your Upholstery whether it is spot cleaning, steam or a dry clean system requires some investigation before you start. First you must have the correct information about the content of the fabric is it a natural fiber or synthetic or a blend. 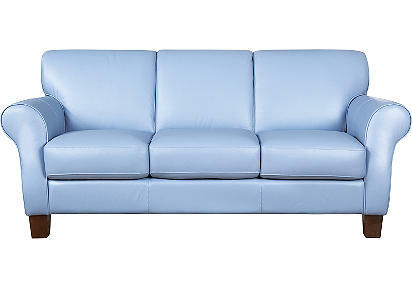 The same in regard to leather upholstery what is the type? Most Upholstery coverings of natural fiber are made of cotton which is a hollow fiber which will contain minute cotton seed fleck to larger noticeable fleck depending on the product Cotton is also more susceptible to permanent staining depending on the spill type and improper cleaning, or over wetting causes cellulose browning which are the brown rings that you see if you have ever tried to spot your upholstered Furniture. Cotton cleaning requires a Neutral Ph (see the ph scale on left thumb) wet clean or dry clean product geared for the fabric. Using high foaming products like dish washing liquids will leave a residue attracting soil back quicker making matters worse. Test before you clean using the correct product apply it to a small inconspicuous area to test for color fastness especially on reds and blues wipe with a clean white cloth and check for dye transfer. Over rubbing on a stain will only cause fraying, blot the fabric instead removing as much moisture as possible if you have a wet vac you can use it to extract the moisture and spill debris. Synthetic fiber is easier to care for and can withstand far more abuse. Stain spot removal can be done as a home remedy using a limited amount of warm water and a small amount of white bar soap which has lower residual effect and a neutral ph value blot or vacuum extract. We do recommend though that you use a professional service if you are not sure,professional upholstery cleaning company's are well equipped for the task. 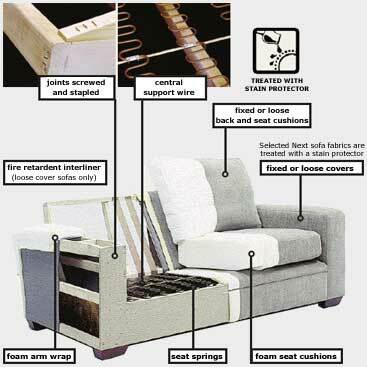 A fabric protection plan will also extend the life of your upholstered Furniture. Upholstery fabrics and coverings come in many patterns and colors, natural fiber and synthetics it is wise to pick a covering that will be durable in your usage area. Mastercare Furniture Upholstery Fabric Protection applications for all your Fabric and Leather Furniture. Keep Furniture Stain Resistant and deter Wear and Tare call for a Quote in South Florida (561)932-5852.
upholstery, general term for household fittings, hangings, curtains, cushions, and covers. It refers to stuffed, padded, and spring-cushioned furniture, such as chairs and sofas, or to the decorative materials and fabrics that cover them. The first furniture upholstery was probably leather, stretched on without padding. Italian Renaissance chairs were cushioned with leather, velvet, or embroidery; the French made ornate chairs covered with tapestries and embroideries; England developed upholstery in Elizabethan and Jacobean reigns. The use of springs is comparatively modern. Hair, fiber, flock, foam rubber, down, and kapok are used for padding in modern upholstery, and woven fabrics, plastics, leather, and synthetic leather serve as coverings. We specialize in Commercial Furniture Upholstery Repair, The skilled trade of repairing a damaged piece of furniture or Fabric which may have a tear or a rip a burn or open seam a wrinkle, loose fabric or leather cover of a sofa, couch,chair, ottoman, pillows and any other type of Upholstered furniture. Repairing drapery or tapestry with a fabric or leather covering and restoring the furniture to two it's original condition. Repairing the damage to where it is not visible. There are many furniture repair techniques such as sewing using a machine or hand stitching. There are different styles of stitching by hand such as a blind stitch, box stitch, Web Stitch these are achieved by using different types of sewing needles curved and straight needles of different lengths depending on the location of the upholstery repair. A machine stitch can be made in many styles such as a baseball stitch, zigzag and other designs. Upholstery patchwork repair can replace an entire panel with the matching fabric or leather restoring the damaged area to original condition. The frame of the furniture may also be considered part of an Upholstery repair which may have a crack or break in the wood. Replacing the wood or re-gluing or re attaching with screws or staples may be required to restore the Upholstered frame or reinforce it to original condition. 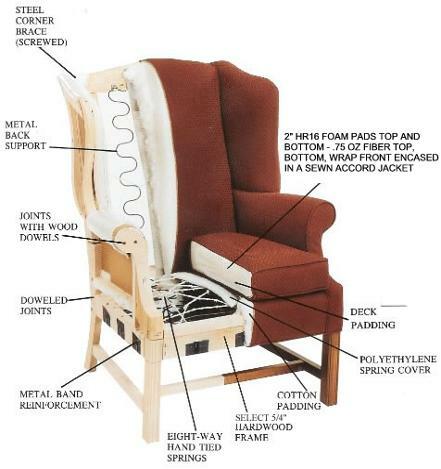 The support suspension system of the upholstered furniture will have sinuous coil springs or zigzag springs or elastic webbing or an eight way hand tie if these become detached or brake they must be reinstalled or replaced to restore the support system generally with spring clips or staples. Damaged foam can be replaced throughout the Upholstered furniture and will vary in thickness from 1/2 inch to 6 inches with different density's. Loose Dacron or cotton batting can be added or replaced in areas such as pillows, arm bolsters throughout the furniture where required. There are many other repairs depending on the structure of the Upholstered furniture and configuration, piping, decorative tacking, wood trim, foam trim inserts and mechanical recliners. There are many techniques used by our professional skilled Mastercare upholsterers to repair and restore your damaged Upholstery to its original condition.